The 19th Hole is where we celebrate our wins, and take our losses with as much humor and grace as possible! Make it a fun experience with this 8 oz. 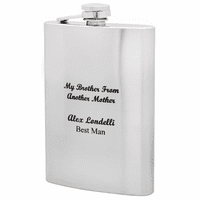 black stainless steel flask with captive screw-on lid! The exterior is laser-engraved with a golf ball emblem, along with a caption that reads" The 19th Hole. Add free matching personalization of a name and date or humorous caption underneath to create a one-of-a-kind gift for a golfing buddy, or for yourself! 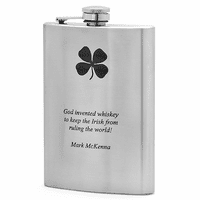 The flask comes in a gift-ready box, and ships within 1 business day of your order! 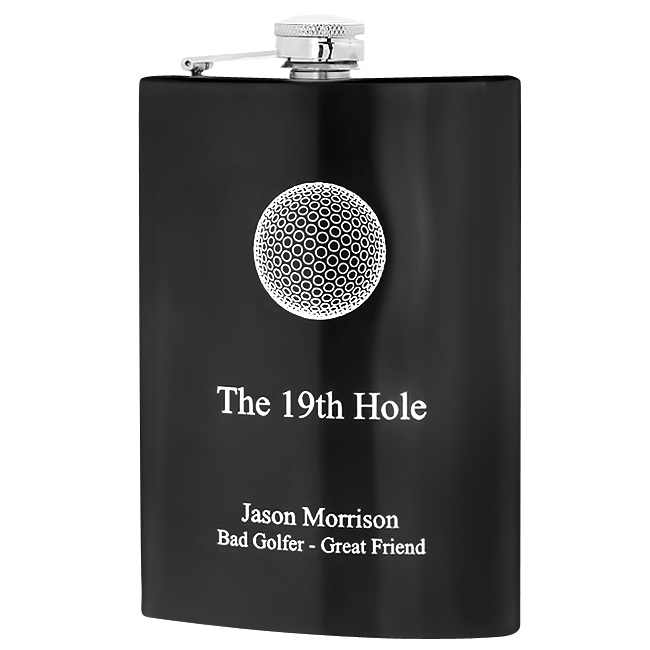 Humorous Caption reads: "The 19th Hole"
Dimensions: 5 3/16" x 3 3/4" x 7/8"
Can I get this golf flask in a 16oz size? 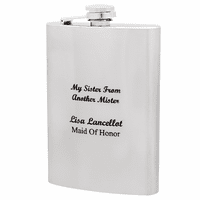 Sorry, we only have this availbe in an 8 ounce flask right now.